Karen von Hahn was born in Toronto in the same year as former US President Barack Obama, but as yet, she has not ruled a vast nation nor been awarded the Nobel Peace prize. In her short yet glorious lifetime, she has however, graduated from the first class of girls at an all boys’ high school, obtained a law degree, been in the employ of a convicted fraudster, been yelled at for failing to get the right amount of foam on a cappuccino for Shirley Maclaine, married the guy who sat next to her the first day of law school, flipped a convertible, lost a fur coat, and had two children. And that was all before she became a journalist. 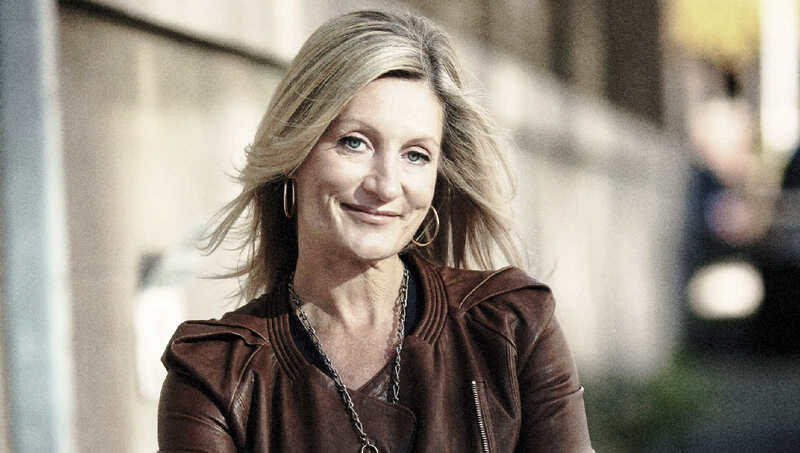 Starting out at Toronto Life in 1988 as the magazine’s Super Shopper, for which she won the William White award, and graduating to a weekly column which ran for close to a decade in the Globe & Mail’s Style section, Karen emerged as Canada’s pre-eminent voice on style with substance. While Karen’s lifelong shopping habit, a natural by-product of such accrued expertise, proved essential in her quest for trends in the art of consumption and meaning in the material world. As host and producer of the groundbreaking television program The Goods for the Life network, she introduced a whole new way of looking at social trends through the material world. At House & Home, Karen designed the magazine’s popular Trendwatch column, which she wrote for many years. As Editor-in-chief of the semi-annual King West magazine, the desperately insecure overachiever/multi-tasker took on the creation of a downtown lifestyle publication and built a unique media brand. Most recently a columnist with the Toronto Star’s Life section, Karen is the author of a memoir called What Remains: Object Lessons in Love and Loss (House of Anansi Press) that was listed by the CBC as one of the best nonfiction publications of 2017. Karen also contributes to a number of other publications on everything from fashion and design to food and travel, including Fashion, Azure, Chatelaine and En Route. As she enjoys nothing more than hearing her own voice, she is also a frequent public speaker on trends in design, culture and lifestyle. If she does say so herself, Karen is also the author of another amusing book, The Hip Guide to Toronto. She is also available to come and speak with your book club about her newest book, What Remains.